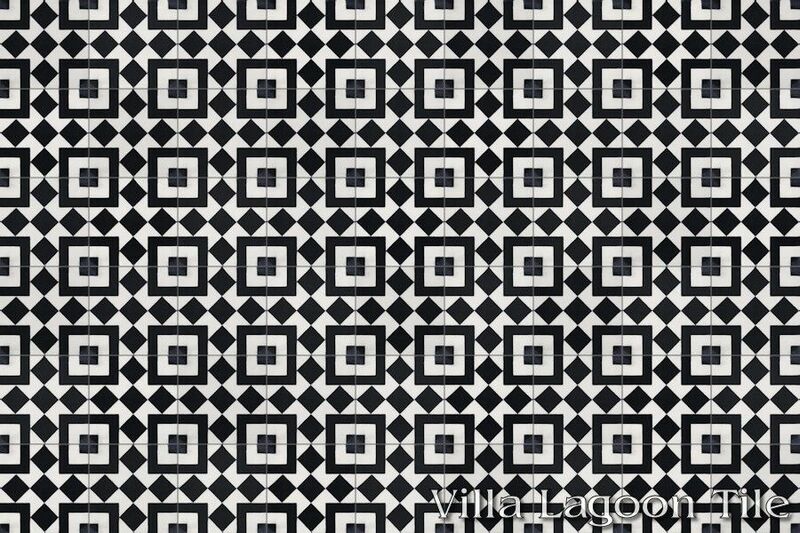 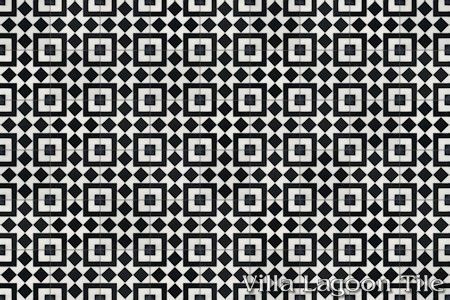 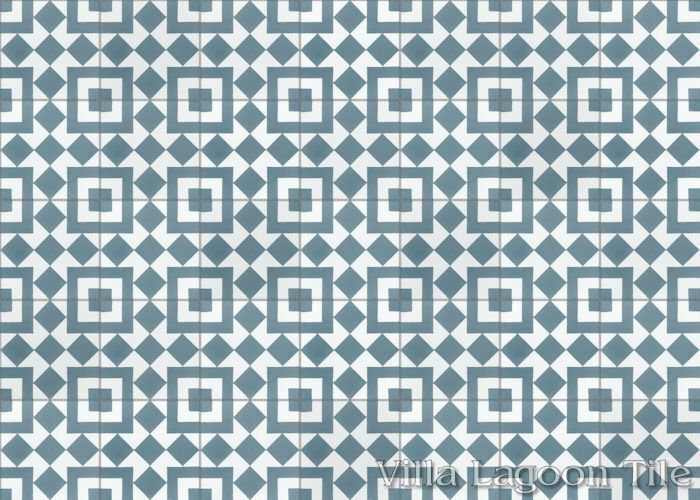 This traditional geometric pattern is an enduring classic. Often associated with Morocco, this pattern of squares and diamonds is also available in an alternate offset version. See both "Marrakesh A" and "Marrakesh B" in our South Beach Collection. 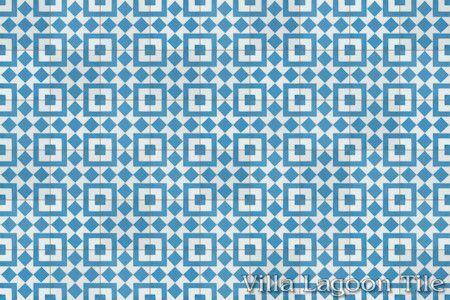 Marrakesh(also spelled Marrakech, and Murakush), known as the "Red City", is an important and former imperial city in Morocco. 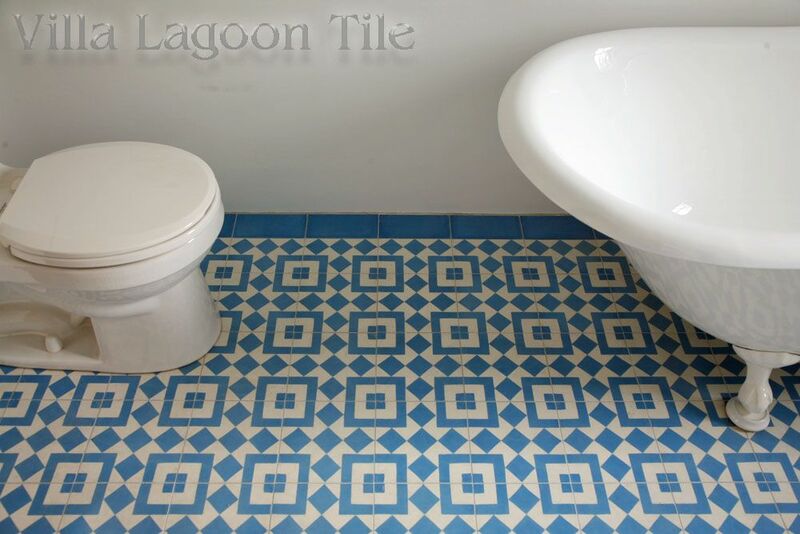 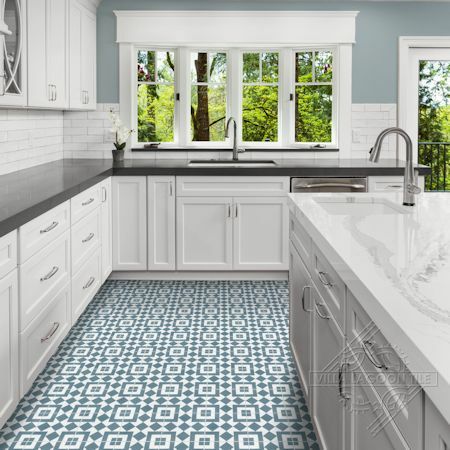 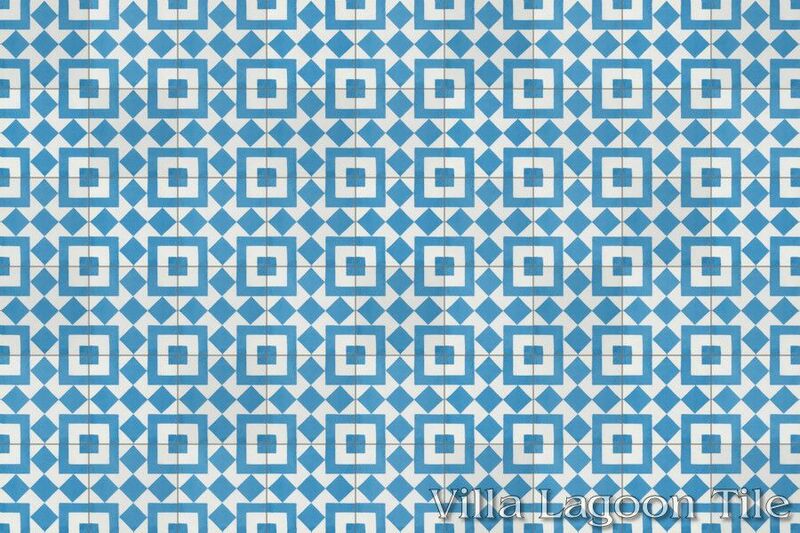 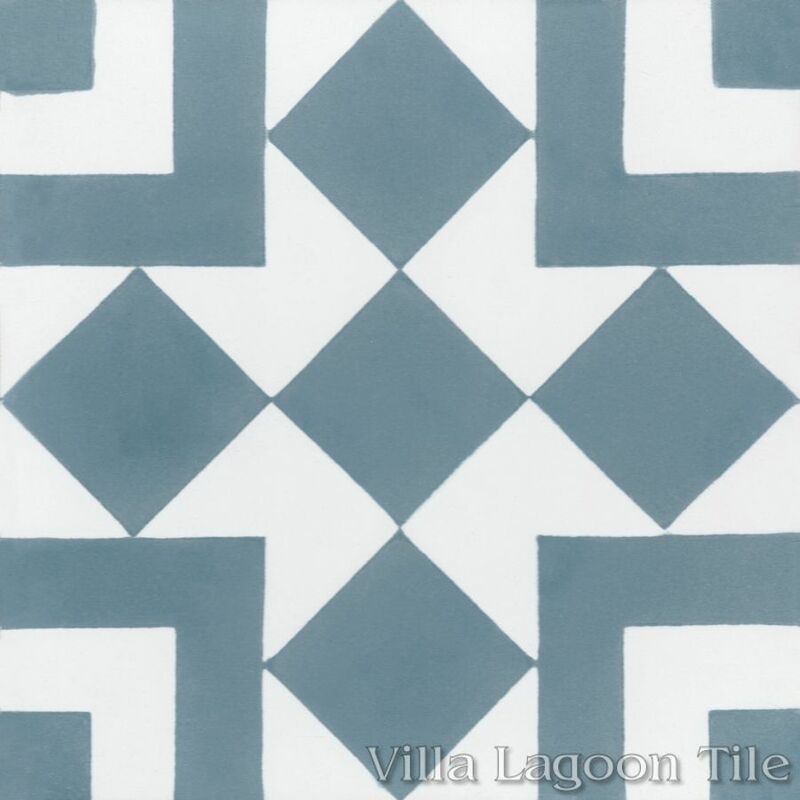 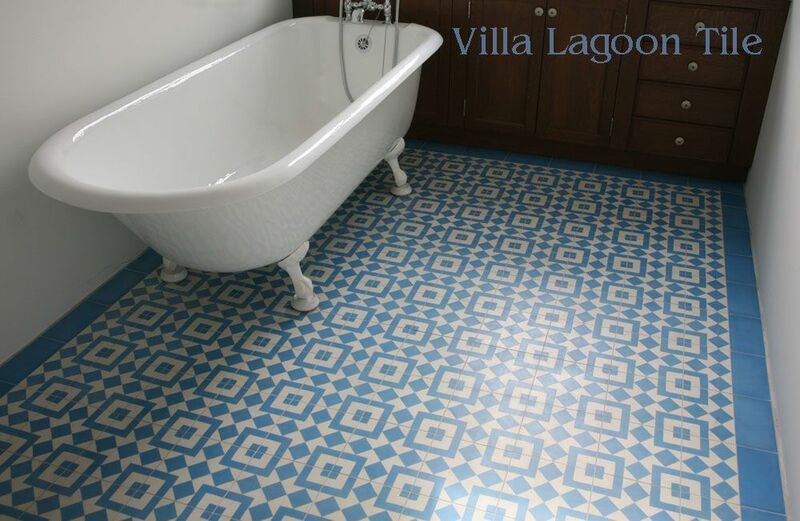 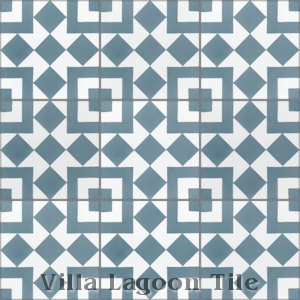 Villa Lagoon Tile's "Marrakesh A" cement tile pattern using Stone Blue and White from the South Beach Palette. 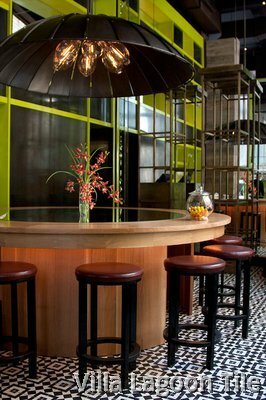 Brio NYC: The Tony Chi designed Brio restaurant in New York with our Marrakesh tile. 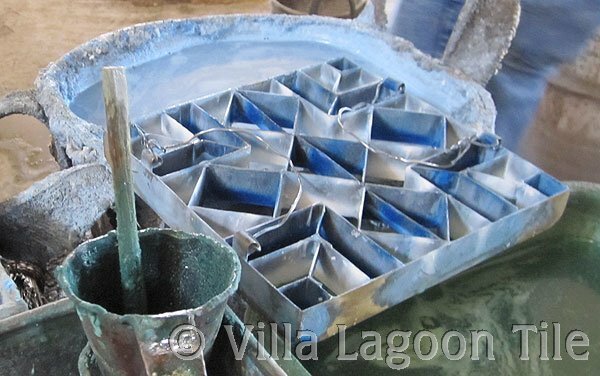 See the metal mold pattern that is used to create the tile you see above. A craftsman hand pours liquid color into each compartment using a tiny funnel. 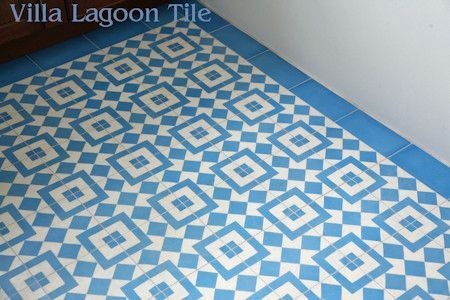 The grid is carefully lifted out and the cement backer mix is placed in the mold of the upside-down tile.